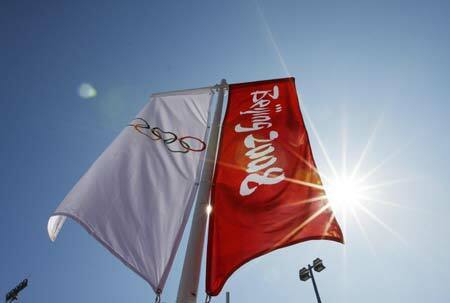 BEIJING - Beijing saw another "blue sky" day on Saturday with the Olympic Games less than a week away. The average air pollution index rose to 34 from 28 of the previous day, but it was still "level I" or "excellent," the Beijing Municipal Bureau of Environmental Protection announced. The average index was based on the data of 27 monitoring stations across the city, the bureau said. The temperature hit 34 degrees Celsius on Saturday. A pollution reading below 50 is classified as "excellent", from 51 to100 is "fairly good", 101 to 200 "slightly polluted", 201 to 300 "poor", and over 301 "hazardous", according to the bureau. In the year to August 2, the city had registered 151 "blue sky" days, or days with fairly good air quality, 18 days more than in the corresponding period last year. Du Shaozhong, the bureau deputy director, attributed the "blue sky" to car restrictions and other pollution-reduction measures. The city has imposed an odd-even system based on license plate numbers that will keep vehicles off the road on alternate days from July 20 to September 20. Neighboring Tianjin municipality and the provinces of Hebei, Shanxi and Shandong, plus the Inner Mongolia Autonomous Region, are also helping the capital to attain its anti-pollution goals by closing major polluters, removing high-emission cars from roads and restoring grassland vegetation. Last week, Du told reporters that major air pollutants, such as carbon monoxide, carbon dioxide and particulate matter from vehicles had dropped by 20 percent in Beijing from a year earlier. The air quality in the Olympic host city has been a major concern for some athletes and media organizations, but environment officials dismissed worries about pollution during the Games. According to the Chinese Lunar Calendar, August 7 -- a day ahead of the Games opening ceremony -- is the day when autumn officially begins. 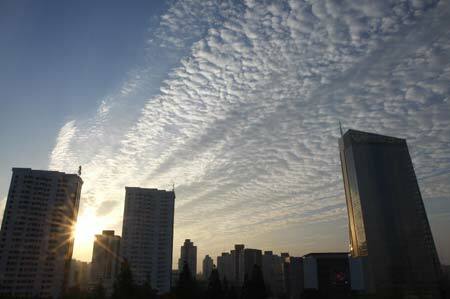 The weather at that time was expected to be fine and it was usually the best season in Beijing, Du said last week. More polluting businesses would be shut and more vehicles would be taken off the roads if the air quality worsened due to "extreme unfavorable weather conditions" during the Olympics and Paralympics, according to the Ministry of Environmental Protection.